I think it’s been fairly well-established that I heart coconut, and it seems like many of you do too. And I think most people, whether they’re health nuts or not, foodies or veg*ns or straight-up SAD-eating omnivores, are familiar with coconut in its more traditional forms. That would be the oil, dried/shredded flesh, and milk. A few years back coconut water hit the scene with a big splash (oh HA right?! ), and propelled coconut further into the mainstream. As America has warmed to this amazing tropical fruit, new and exciting products have been hitting the shelves. And I recently had the opportunity to sample a number of these products, gifted to me by an awesome little company called Coconut Secret. So here’s the deal: I love these products. LOVE THEM! They are all vegan, gluten-free, and RAW! As a collection, the entire line offers unique flavors and textures that open up an entirely new world of raw (and non-raw) cooking techniques. For example, I never dreamed a raw pastry crust could be so buttery-flakey until I stumbled onto coconut flour. And that’s just the beginning! But before we jump into reviewing each product individually, I do have one single criticism. Perhaps it’s just my personal preference, but I was quite put off by the manner in which some of the products are presented on the website. Namely, via bashing their [perceived] competitors. I just don’t think it’s necessary (or savvy) to attack an ancient health tonic like apple cider vinegar, and I feel like there’s a way of highlighting the product’s “selling points” in a less aggressive way. And maybe that’s the problem – it feels like selling, and it made me feel sold to, and that makes me skeptical and distrustful. I don’t want to hear that apple cider vinegar is actually bad for me because, well, I know that’s just. not. true. Or the odd implication that if you manually add a culturing agent when ferment a food, that it’s somehow inferior to a “naturally aged” product. What??! And I understand that agave is contentious, but you know what? Mercola is a snake oil salesman who’s even more contentious than agave! And soy – oh god. Don’t get me started. Look, I avoid it for the most part and I’m no soy proponent, not by a long shot. But the ridiculous old “soy-formula-is-like-babies-on-birth-control” line is essentially the equivalent of “soy will make your son gay.” (veiled homophobia?) It’s ludicrous and it’s just sort of weird but most of all, it’s NOT a conclusion that’s supported by the science. All that’s to say, the whole “on the attack” marketing approach is just not my cup of tea. I’d rather just hear why YOUR product rocks, yeah? Alrighty! So on to the reviews. Venting aside, please remember – I adore these products. Get ready for a rave! Coconut flour changed my life. No joke. This all-raw, gluten-free flour is high in fiber, is unbleached/unrefined, and of course, it’s organic. And it’s just amazing. It’s got a totally unique flavor (just a little bit sweet, not very “coconut-y” at all), and a powdery texture that will work in a recipe much like traditional flour. You can use it in baking or as a thickener in sauces or smoothies. But where it’s really changed my life, is in my raw diet. And that’s just the tip of the iceberg! From sweet treats to savory pastry and everything in between, coconut four is totally revolutionizing the way that people approach uncooking. Recently, I even got my paws on a brand new uncookbook, all about raw cupcakes, that’s pretty much centered around coconut flour. SERIOUSLY GAME-CHANGING. This is another product that’s totally changed my kitchen. Coconut crystals taste almost identicle to brown sugar, except of course that they’re RAW, organic, unrefined, and low glycemic. Hooray! No blood sugar spike, and it’s a good thing too, because my absolute favorite dessert in the world is a frozen banana cut into slices, with raw almond butter, dunked in coconut crystals . . . which I usually eat very late at night. But it doesn’t keep me up, because coconut crystals have a glycemic index of 35! You can use coconut crystals in traditional baking, like I did in this cherry crisp, or you can keep it nice and raw. Brown sugar is such a distinct flavor, and having access to it in raw form opens up so many amazing new possibilities. Coconut Nectar is a liquid sweetener made from the sap collected from coconut flowers. It’s also RAW, and organic, and best of all it’s low-glycemic (GI of 35). This is a another great alternative sweetener for those who are opposed to honey and looking for something that won’t spike their sugars. Coconut nectar does have it’s own unique flavor, almost flowery, which can take some adjusting to. I’ve grown to enjoy it very much, but it hasn’t replaced my other sweeteners altogether. Instead it’s simply helped round out my pantry – there are places where coconut nectar works wonderfully, and there are places where I prefer something more neutral (or something more specific, such as real maple syrup). But if you could only buy one liquid sweetener, coconut nectar would certainly fill all your needs. It can stand in for any liquid sweetener, in any recipe, cooked or uncooked. Empty bottles = proof of love, right? Coconut aminos are meant to take the place of soy sauce, and this is the one product of the whole line that didn’t totally blow me away. However, if you have a soy allergy or a thyroid condition or something else that requires you to avoid soy entirely, you’re in luck: coconut aminos totally get the job done. This condiment is RAW, gluten-free, and soy-free. It’s nice to have another raw umami option, and it’s great that soy-free folks can get back into their Asian cooking groove. Personally, I prefer the taste of tamari (gluten-free soy sauce) or nama shoyu (raw soy sauce), but I’ll also be keeping coconut aminos on hand for when I want to mix things up. LOVE! Finally, a raw vinegar besides apple cider! Now don’t get me wrong, I love me some ACV. But let’s be honest, it can be a little . . . strong. And really, when you only have one (bottled) acid to work with, you run the risk of getting a little bored. Enter coconut vinegar! 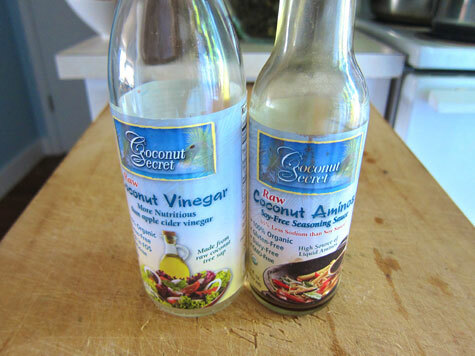 Coconut vinegar is RAW and organic. The flavor is gentler than ACV, and it has a certain sweetness to it. The first time I sampled it, I thought it tasted distinctly reminiscent of rice wine vinegar. Well, that pretty much kicked off an entire week of culinary creativity in my kitchen! I use coconut vinegar in “stir-fry” (or stir-dry) marinades, in my raw sushi rice, in Asian-inspired salad dressings, and on and on. 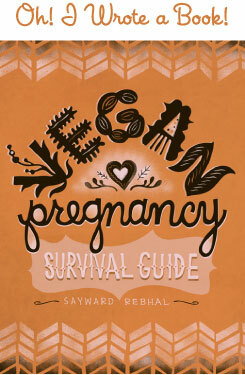 I love it so much, it’s featured prominently throughout in my raw uncookbook (though you can always sub out ACV, no problem). In sum, I think it’s safe to say that I’m stupendously excited by these products. They will all continue to play a big part in my foodie adventures, and if you’re looking to expand your own pantry and breath some new inspiration into your kitchen, I just can’t recommend them enough. For those of you who have already tried them, what do you think? Please share! Thank you, I love feeling validated! Don’t we all? The coconut aminos, I just don’t get it…. I was very surprised by the almost alcoholic fermentish smell. It wasn’t expected. In recipes, I still haven’t full out replaced bragg’s or tamari with them – I do a little half and half. I just feel like the taste would be overpowering and I’m scared. ha. 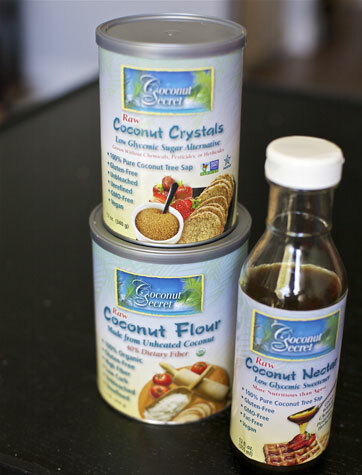 I am excited to try their coconut flour now, in a raw recipe. Good to know! Great review! I’ve actually just bought some of the coconut aminos to try, more so because I wanted a raw alternative to soy sauce, and nama shoyu is pretty much impossible to get your hands on in the UK. I am a bit sceptical now after your review but I will give it a try! I’ve been using coconut flour for a while but I think the brand I’ve been using isn’t raw so I’d love to try this brand instead. I also like the nectar, as you say it just adds another option when it comes to pairing sweeteners with various dishes. Thanks for the review! Fabulous review, and thanks for keeping it real with your honest comments/rant about their website. It was quite awhile ago when you sent me a link to their site, and I was put off. However, since you were excited about the product, not their marketing, I went straight to my co-op and they had just started carrying the entire Coconut Secret line. Yay! I used to grind coconut flour from raw/dehydrated coconut flakes because I wasn’t happy with the packaged brands of flour I’d tried, but I really like CS’s flour (I also like that it comes in an easily reusable paperboard can, rather than a plastic bag, and it’s cheaper than the flakes I was buying). I have also tried and enjoyed the crystals and vinegar. ive seen this stuff and have been wondering about it! thanks sayward! Thanks so much for the honest review! Love me some coconut, but am fairly new to the coconut “scene” :) All I have played with so far is Garden of Life’s virgin coconut oil (FABULOUS for baking as well as stir frys) and coconut milk (my fav alt milk for hot cocoa!) & water. Nice to have new options for play! So I’ve actually been baking with these products, and it’s a great sugar substitute! Thank you for providing a review!! I always appreciate your honesty. I’m glad to see these products are located at the two co-ops I frequent. I’ll be trying a few of them soon hopefully! BUT! this morning i found a thick, jet-black hair in one of the crystals. i like the whole small company dealio, but they need to look into their quality/hygiene control. yuk. and yes, i emailed them. p.s. coconut secret sent me back a nice email, let me know that they’ve never been faced with such a complaint, stood by their product, and put a replacement canister of the crystals in the mail today. I wouldn’t get coconut crystals anymore. The coconut tree flower produces the coconuts. More and more coconut farmers are making the sugar now instead of coconut water and the coconut meat. That means there may be a shortage of coconuts and it may drive up the price. One company is aware of this and will not buy coconut crystals. I thought I would let you know cause I was almost duped into buying some because I found that xylitol is not so good for you as a sugar replacement. All sugar is processed anyway.